It’s the best copy line I’ve ever thought of (which might be why I don’t usually write copy). Here’s the back of the flyer. 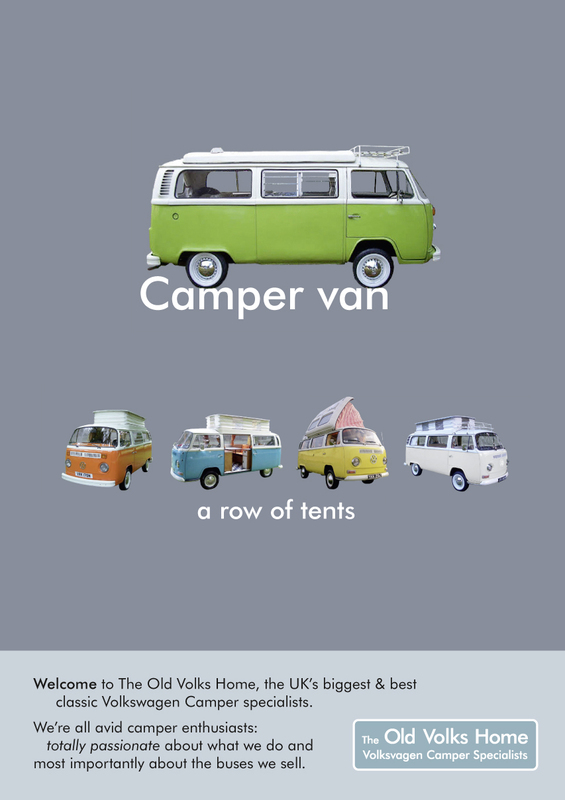 This entry was posted in Design, Press and tagged Camp, Camper Van, Design, Flyer, Graphics, Logo, silly, Volkswagen. Bookmark the permalink. Hey, trevor, I love this car, together with the Seat 600, they are my favourite cars ever. And the flyer looks great! 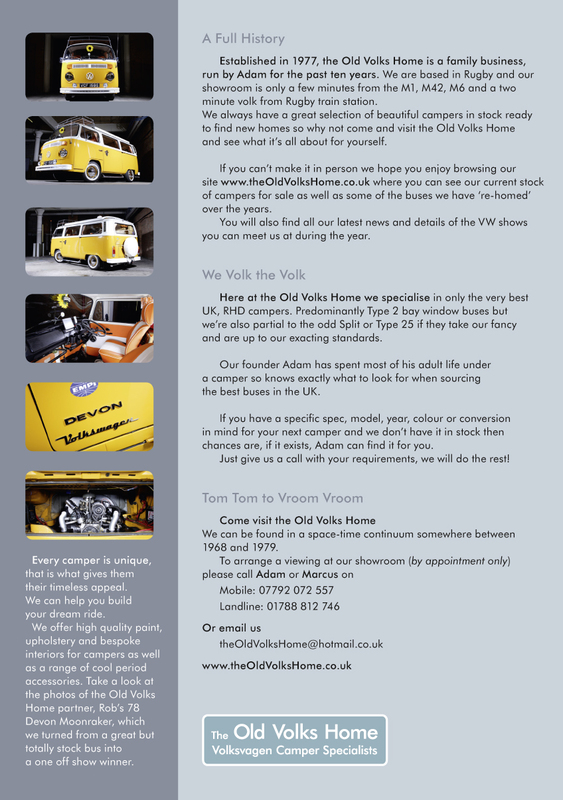 Congratulations on writting copy lines, Tom tom to Vroom Vroom, ha, ha.